This entry was posted in Classes, Scissor fobs, Tutorials. Bookmark the permalink. What size lobster clasp are you using? I don’t have the package anymore, so I am not sure about the size in mm. The ones that I have measure about 1 inch from end to end, and about 1/2 inch across…which works very well on Ginghers. Please see my comment below for additional details. This is just too cute! Another great idea for Christmas! Yes. It’s still June and I’m still thinking of Christmas! 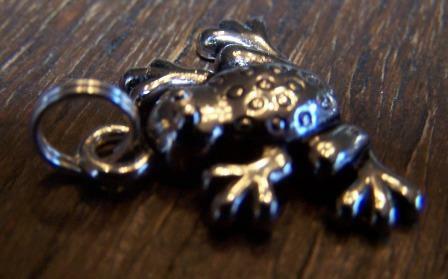 Beautiful scissor fob! I would also be interested to know what size lobster claw you are using here. Thanks for the great idea and the very clear tutorial. Thank you to everyone for your wonderful comments about this tutorial. I apologize for not answering the lobster claw clasp question here sooner…I have replied privately to a couple of people, but neglected to post the answer here for everyone. All of the beads and beading supplies that I have purchased have been from Hobby Lobby, Walmart, or Michaels. I am pretty sure that the jumbo lobster claw clasps came from Hobby Lobby. Hopefully you have one of those nearby. It seems like they have their stock separated by brand rather than category, so you may have to check a couple of different spots in the beading aisle for them. I don’t have the package anymore, so I am not sure about the size in mm. 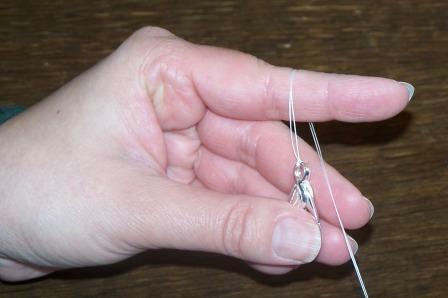 The ones that I have measure about 1 inch from end to end, and about 1/2 inch across…which works very well on Ginghers. I just used your scissor fob tutorial in my marketing analogy. Thank you! This is a very clear piece. Thanks for the great tutorial. 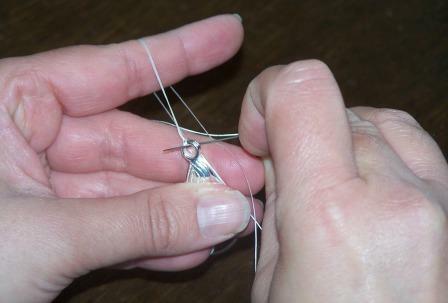 I am a new beader and this will be my first project. I have all the supplies but the thread. 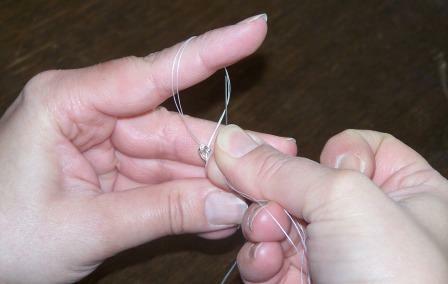 What kind of beading thread do I need. Thanks. Thanks for the tutorial! It was so easy-my very first bead project & it turned out wonderfully. Loved it so much, I made another one for my sister!